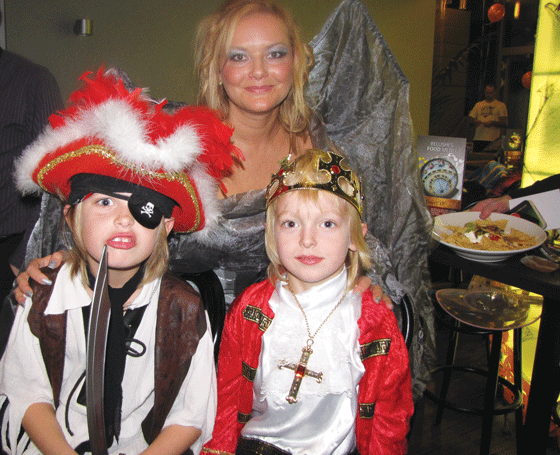 In 2010 Kids in Prague organised our very first Halloween party. We were unsure of the outcome or if people would be interested. Fortunately for us, it turned out to be a fantasticly scary party that we kept hearing about for months to come. In 2011 we didn’t have the capacity to organise another one and it was a shame as many parents were asking about it. So in 2012 we have decided to bring you another great Kids Halloween Party and this time it’s going to be a Dinner Party! 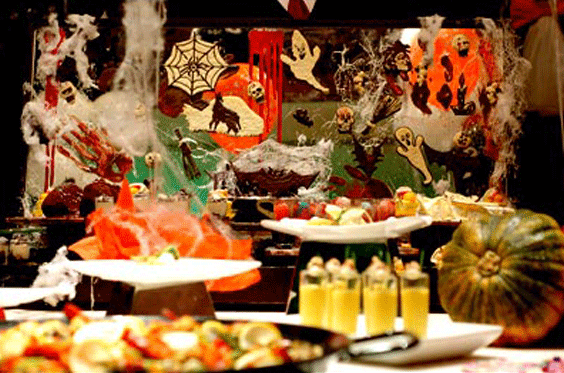 This time it promises to be even better and together with Prague for Kids we will bring you a great event full of awesomely scary food, including Mozzarella Eye Balls, Puking Pumpkin Guacamole Salad, Fried Fingers made of chicken, Scary Noodles as Worms and many other yummy but spooky looking buffet treats! This year we are bringing onboard Azyzah Entertainment who will lead children through a 3 hour program especially developed for our Halloween themed party. Your kids will be fully taken care of and will love the Mini Disco, all kinds of Halloween games, dancing with a parachute, playing Charades and eventually breaking open the Pinata. 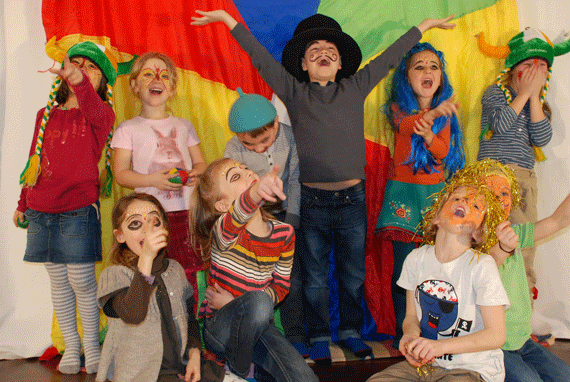 Azyzah Entertainment provide themed birthday party entertainment programs, run drama workshops and perform festival, school and hospital shows for kids. With 15 years experience it was a safe bet bringing them on-board. Our venue this year is the four star Panorama Hotel in Prague 4. The hotel is right next to Pankrac metro station and we’ve managed to secure a special parking rate of 35czk per hour for our party guests. Imagine the value for a modest entry fee: a hot and cold buffet including both sweet and savory treats, soft drinks, a welcome drink, Halloween decorations, balloons for kids, a 3 hour non-stop program, prizes for kids and we promise it will be something to remember! Thanks to our long time cooperation with Balondekor Agency, Azyzah Entertainment and Panorama Hotel we don’t have to charge you additional money for everything they provide. We really care that you have a great time alongside us and enjoy getting together with the families of Prague. I wanted to write something about Halloween but the naked truth is that you all know what it’s all about! What you may not know is how to celebrate this occassion in the Czech Republic where it is not customary. Thankfully Prague has become quite keen on celebrating Halloween and you will find some hotels organising Halloween Brunches as well as small parties at schools or trick or treating in expat villages such as Nebusice. 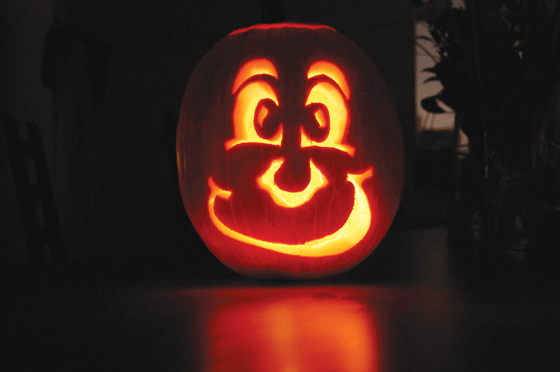 Something for Adults: We encourage you to come along in your own Halloween costume. Those that do are in with a chance to win one of three Exclusive Dinner Vouchers for 2 to one of Prague’s premier restaurants, sponsored by Lime&Tonic. It could be worth the effort! Marinated Mozarella Eye Balls, Guacamole Salad as puking pumpkin, a selection of sandwiches, finger food, Pumpkin & Coconut Soup, Fried Fingers of Chicken and Fish, Ghost Pizza, Stired Fried Noodles with Vegetables, Potato Face Zombies, Potato Worm Spirals, Meatballs with Sauces, Chocolate Fondue, Ginger skeleton breads, Frankenstein Fingers, Ghost strawberries and a selection of minideserts.